The top ten amazingly easy summer beauty secrets for a girl to make you feel like a sun goddess. 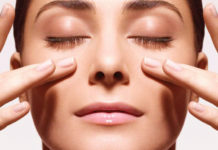 Facial Mask: Apply facial mask carefully on the face in circular motions and wash your skin gently. it makes your skin smooth and soft. Routine Facial Cleanser: Once a week uses a mask that has acid to draw wetness to the skin. It makes your skin smooth and soft. Skin Toner: Skin Toning is the next step after a facial cleansing to freshen and to tone up your skin, apply rosewater into the Face. It gives moisture to your skin and allows to keep it, fresh and balances the pH levels in summer. Get rid of Dark Circles: Cut 2 Slices of cucumber in a circle shape and keep it on each eye for 5 minutes, it helps to remove your dark circles and also helps to feel fresh and relax. For Beautiful Lip: Regularly apply lip balm to keep your lips smooth and moist. Hair beauty secrets: Avocado conditioner made right in your own kitchen can help to repair dry and damaged hair. Shiny Hair Secrets: Use an olive oil and gently massage it into your washed hair. Keep it, for 10 and 20 minutes. Rinse with cool water and get shining hair. Smoothing Rough Skin: Use lemon for natural bleach, it can act as an all-natural skin bleach and softener. It allows to even out skin tone and then creates skin more lively. It can also be used on rough elbows and feet. Great looking Nails: Soak your hands for 10 mins in a large bowl of warm standard water and add few drops of vinegar and the 1-2 pinch of salt. It helps to make soften your nails cuticle and clean your nails too. Great Looking Feet: Apply moisturizer daily and use a peppermint spray it is very refreshing to feet especially on a sunny day. You can also make foot scrub at home. Take 2 teaspoons of flour(besan), 1 tablespoon of rosewater and a little warm water to mix into a paste. Massage it onto your feet gently and then wash off with warm water.